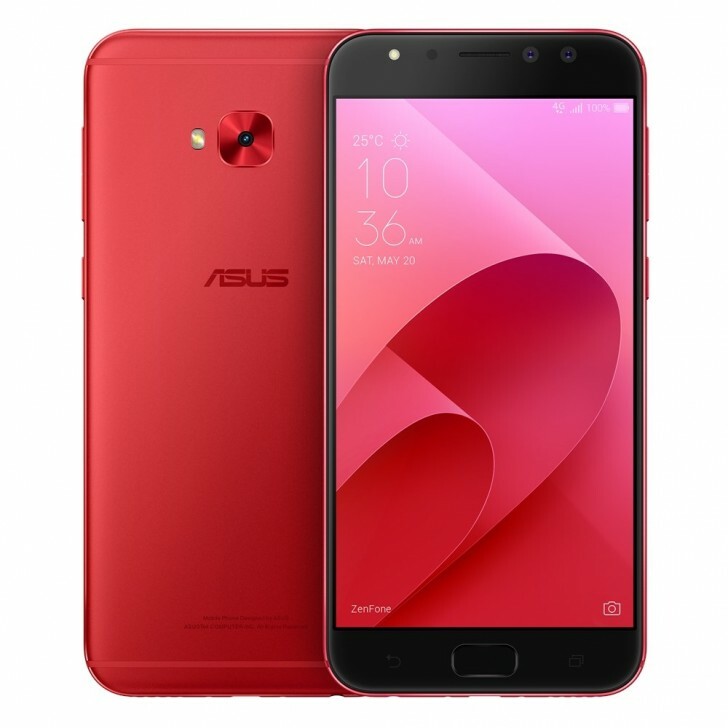 In typical Asus fashion, the company has dropped half a dozen new ZenFone smartphones all at one fell swoop. The new range includes the ZenFone 4, ZenFone 4 Pro, ZenFone 4 Max, ZenFone 4 Max Pro, ZenFone 4 Selfie and ZenFone 4 Selfie Pro. The ZenFone 4 has 5.5-inch 1080p IPS LCD and has 2.5D Corning Gorilla Glass on the front and back with aluminum frame. The phone is powered by a pair of new processors, the Qualcomm Snapdragon 660 and the Snapdragon 630, depending upon the variant you choose. Accordingly, you will get either 4GB or 6GB of RAM. The phone also has 64GB of expandable storage. On the back is a dual camera system consisting of a 12 megapixel f1.8 25mm primary camera with PDAF and OIS and an ultra wide angle 8 megapixel 12mm secondary camera. The phone can also record 4K video. On the front is an 8 megapixel f2.0 camera. Other features include dual stereo speakers, dual SIM support, fingerprint sensor, USB-C, headphone jack, and 3300mAh battery with fast charging. The phone will be available in Moonlight White, Mint Green and Midnight Black. 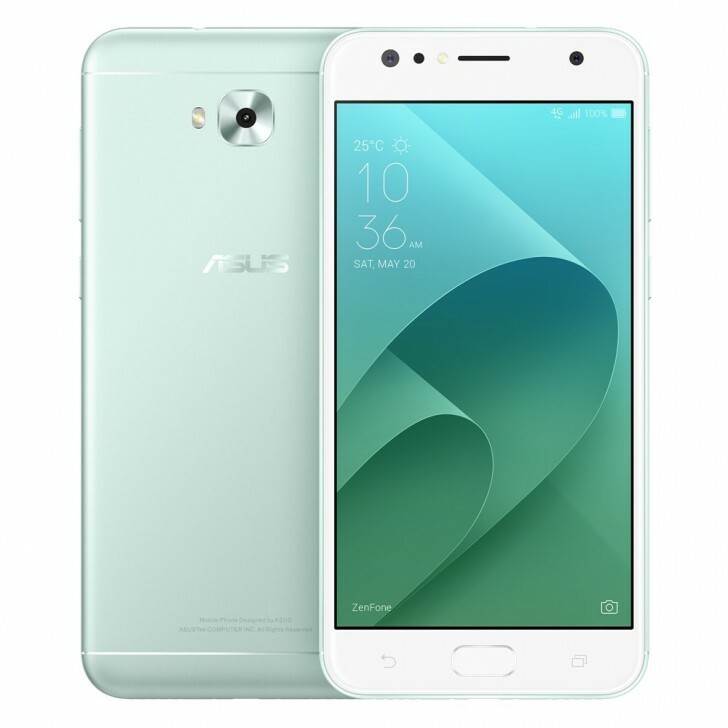 The ZenFone 4 Pro is the flagship device and has a 5.5-inch 1080p AMOLED display with 2.5D Gorilla Glass on the front and back and aluminum frame. It is powered by the Qualcomm Snapdragon 835 processor with 6GB of RAM and a choice of 64GB or 128GB storage. The dual camera system on the back consists of a 12 megapixel f1.7 25mm camera with OIS, PDAF and laser autofocus. The secondary camera is a 16 megapixel sensor with 50mm telephoto lens, giving it 2x lossless optical zoom. On the front is an 8 megapixel f1.9 camera. Other features include dual stereo speakers, dual SIM support, fingerprint sensor, USB-C, headphone jack, and 3600mAh battery with fast charging. 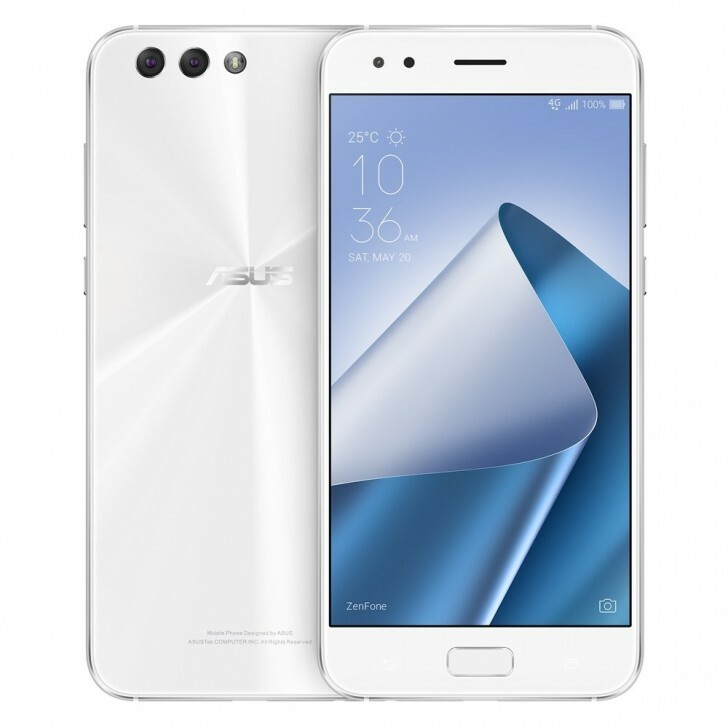 The ZenFone 4 Max will be available in Moonlight White and Pure Black. The ZenFone 4 Max has a 5.5-inch IPS LCD. It is powered by a Qualcomm Snapdragon 430 or 425 processor with a choice of 2GB, 3GB and 4GB memory. You also get 16GB, 32GB or 64GB expandable storage accordingly. On the back is a dual camera system with 13 megapixel f2.0 25mm primary camera and 12mm wide angle secondary camera. On the front is an 8 megapixel sensor. Other features include dual SIM connectivity, fingerprint sensor, microUSB and a 5000mAh battery. 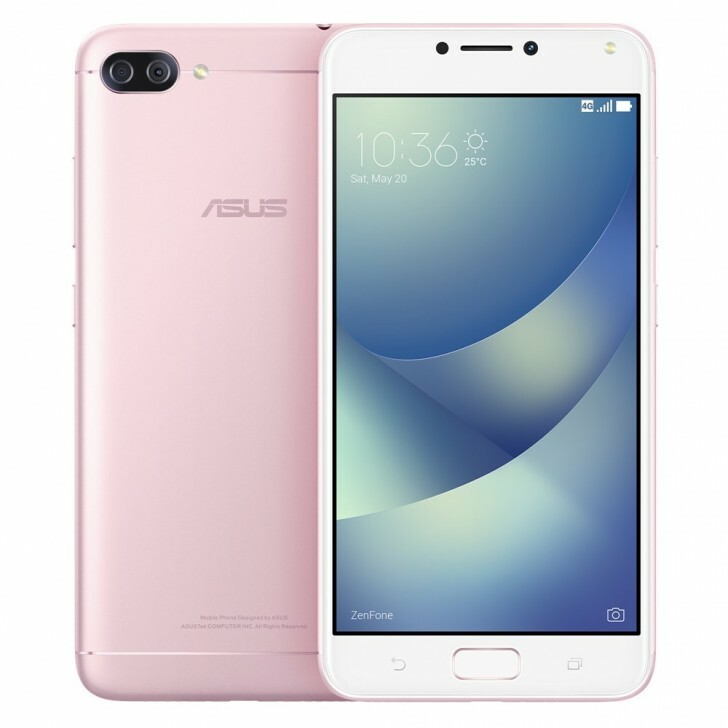 The ZenFone 4 Max will be available in Deepsea Black, Sunlight Gold and Rose Pink. The ZenFone 4 Max Pro is largely the same device as the ZenFone 4 Max but with different cameras and memory. The ZenFone 4 Max Pro has a 16 megapixel primary rear camera and 16 megapixel front camera. Memory is limited to a choice of 2GB or 3GB and storage is limited to just 32GB. The ZenFone 4 Selfie has a 5.5-inch 1080p IPS LCD with 2.5D curved glass. The phone is powered by the Qualcomm Snapdragon 430 processor with 4GB of RAM and 64GB of expandable storage. The single rear camera on the back is 16 megapixels. However, it's the front camera that's the focus here, with a dual camera setup consisting of a 20 megapixel main sensor with f2.0 aperture and 31mm focal length and an 8 megapixel 12mm wide angle camera. There is also an LED flash for low light photography. The phone has dual SIM support, fingerprint sensor, microUSB, and 3000mAh battery. The ZenFone 4 Selfie will be available in Deepsea Black, Mint Green, Rose Pink and Sunlight Gold. 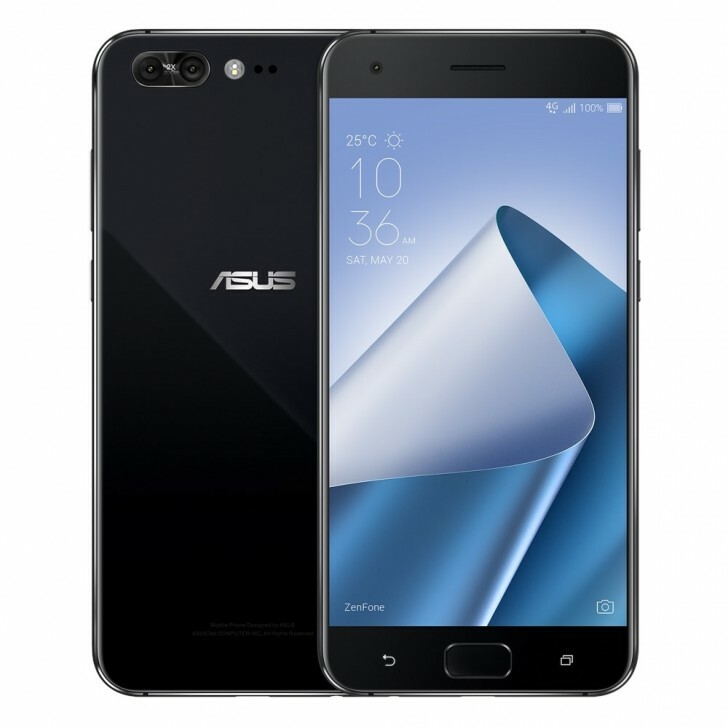 The ZenFone 4 Selfie Pro ups the game with a 5.5-inch 1080p AMOLED display and Snapdragon 625, with a choice of 3GB or 4GB RAM and 64GB storage. The main front camera is a 24 megapixel DuoPixel camera. Although this is just marketing speak as it is actually just a 12 megapixel Sony IMX362 sensor with dual pixel autofocus that helps the sensor focus quickly and Asus is counting the two diodes per pixel as two separate pixels. Asus claims this makes it 2x sensitive to light but again, that's not how it works since the light falling on each pixel is same regardless of how you split it. Moving on, the secondary front camera has 12mm focal length for wide angle selfies. The phone also has 4K video recording, dual SIM support, fingerprint sensor, microUSB, and 3000mAh battery. The ZenFone 4 Selfie Max will be available in Deepsea Black, Sunlight Gold and Rouge Red. The exact hardware specifications, colors, prices, and availability will vary by region, which will be announced later. Then whats the Zenphone 4 Max Plus model listed in GSMArena?